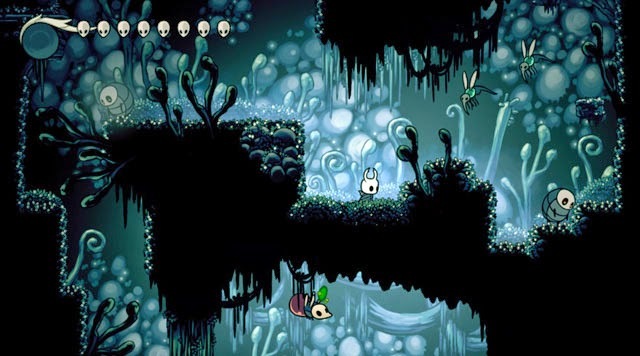 Team Cherry presents Hollow Knight, an action-adventure platformer set in the ancient subterranean land of Hallownest. The horned knight must traverse a large nonlinear world and battle dark insect-based foes with his trusty sword-like nail as he uncovers the mysteries of the land and searches for artifacts and treasure. Along the way, the knight gains new abilities, including a double jump, air dash, and energy blasts, allowing him to defeat enemies more easily and access new paths. Various NPC's offer aid - for a price - by providing maps of each region, crests that grant passive buffs, and a number of mysterious items. Hollow Knight is now available on PC, Mac, and Linux via Steam, GOG, and Humble Store, and is also planned for release on Nintendo Switch. Check our coverage here.